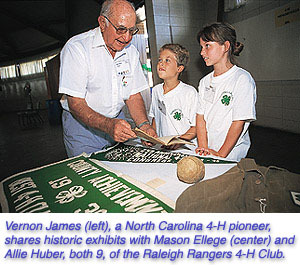 Vernon G. James Sr., a pioneering 4-H’er and longtime friend of agriculture and North Carolina Cooperative Extension, died Monday, October 21, 2002. He was 92. 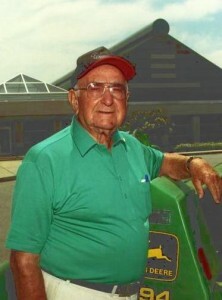 James, for whom the Vernon G. James Research and Extension Center in Plymouth was named, served in the North Carolina General Assembly from 1945 to 1949 and then again from 1973 to 1995. 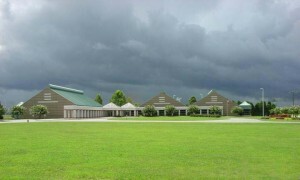 His connection with agriculture began when he was a young boy on his family’s farm in Weeksville, in Pasquotank County. He joined a local 4-H club and was elected state 4-H secretary-treasurer in 1929. In 1931, he was named a charter member in the state’s 4-H Honor Club, the highest honor a North Carolina 4-H’er can achieve. He maintained his connections to 4-H throughout his life, serving as a volunteer leader and later being named a lifetime honorary member of the North Carolina 4-H Development Fund. He was also “passionately loyal to agriculture and the people of agriculture,” said Dr. Jon F. Ort, director of the North Carolina Cooperative Extension Service. A potato farmer and produce supplier, James went on to become chairman of the N.C. House of Representatives’ agriculture committee. In that position, he provided significant support for N.C. State University’s agricultural education, research and extension efforts. Perhaps most notably, he helped secure funding for the James Center. “He went to bat religiously, diligently for the college and for agriculture,” Ort said. “He was a tremendous friend. And when you became Vernon’s friend, you were friends for life,” said Ort. A few weeks ago, James and his wife, Thelma, visited the Eastern 4-H Center, where a room bears his name. “He was able to walk the grounds and tour the facility,” said Sara Lilley Phelps, sales and marketing manager with the center. “As always, he was very pleased with the progress of this 4-H dream becoming a reality for so many people in Northeastern North Carolina and across the state,” she said. Two years ago, he regaled participants at a state 4-H reunion with stories of early 4-H and made it a point to encourage young 4-H’ers to strive for the best.